The El Dorado County Placerville Jail is located in Placerville, California. The El Dorado County Sheriff’s Department operates and manages the El Dorado County Placerville Jail. This facility is also composed of an inmate work center. 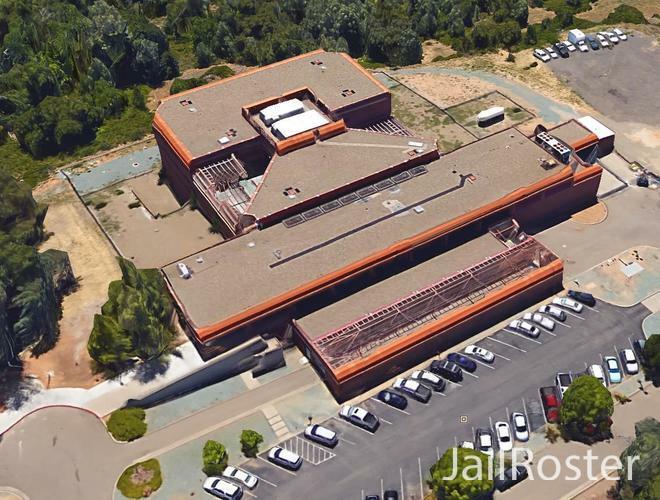 The El Dorado County Placerville Jail is pretty close to the inmate work center. This facility is in the Public Safety Building. You can get to the main entrance of the California Sheriff’s Office from Central Street, from there you can get to the El Dorado County Placerville Jail. The El Dorado County Placerville Jail generally detains El Dorado County residences. Most of the inmates in the El Dorado County Placerville Jail serve no more than a two-year sentence. The law agencies in and around El Dorado County that work closely with the El Dorado County Placerville Jail, the police department, sheriff’s department, U.S Marshals as well as other law enforcement agencies. The El Dorado County Sheriff’s Department manages and operates the El Dorado County Placerville Jail. Keeping and maintaining an up to date database of all current inmates is a big responsibility. That is what the El Dorado County Sheriff's Department does. The El Dorado County Placerville Jail has their roster open with their current arrests available to the general public by the El Dorado County Sheriff's department. This database can be found on the El Dorado County Sheriff’s Department official website. By the inmates name you can search the El Dorado County Placerville Jail roster. Unfortunately, the releases and mugshots will not be in the database. You will need to contact the El Dorado County Placerville Jail, if you want to know more information than what is in the database. El Dorado County Placerville Jail, inmates can get written letters from their family and friends. For safety reasons the employees of the El Dorado County Placerville Jail will check all mail when it arrives. The El Dorado County Placerville Jail staff will pass the mail to the correct inmates after the mail gets checked. Inmates in the El Dorado County Placerville Jail can also receive books, magazines, and newspapers. The books, magazines, and newspapers will need to be delivered directly to the prison from the bookstore or publisher. All incoming books will be required to be paperback. All hardcover books are prohibited. If a hardcover book is sent, it will be sent back to the sender. Keep in mind that all books will need to be new too. Used books are not permitted. While in the El Dorado County Placerville Jail, inmates will need money to make purchases in the commissary. There are a few different ways you can deposit funds into an inmate's account at the El Dorado County Placerville Jail. At the El Dorado County Placerville Jail there is a TouchPay Kiosk that you can use in the lobby during the normal business hours. You can use cash, debit cards and credit cards. You can deposit funds if you go online to the TouchPay website, if going to the El Dorado County Placerville Jail is not convenient for you. The El Dorado County Placerville Jail inmates are not allowed to receive phone calls from their friends and family. During their phone time, the inmates at the El Dorado County Placerville Jail are allowed to call their friends and family. The inmates are only allowed 15-minute calls. The call will be disconnected as soon as the 15 minutes is up. Calling features such as three-way calling and call forwarding are prohibited for the inmates to use at the El Dorado County Placerville Jail. However, if an inmate is caught using any of these features, the call will be disconnected right away. Disciplinary action will be taken against the inmate that is found using these features. The El Dorado County Placerville Jail inmates are allowed to only make collect calls. Only those who have a landline will be able to receive the collect calls coming from an inmate. Inmates will not be able to make collect calls to anyone who only has a cell phone. The Individual receiving the collect call is the one responsible for any and all fees associated with the collect call. The El Dorado County Placerville Jail is not responsible for any and all charges from the collect calls. At the El Dorado County Placerville Jail, inmates do not have access to the internet. The inmates can not communicate with friend and family using any electronic messaging systems. You will need to send inmates at the El Dorado County Placerville Jail a written letter to the address above, if you would like to stay in touch with them. El Dorado County Placerville Jail inmates are allowed to receive visitors. All visitors under the age of 18 will are allowed to visit, however, they will need to stay with their legal guardian. Before you are allowed to visit you will be required to present either your driver’s license, state identification card, or your United States Passport, at the El Dorado County Placerville Jail. At the El Dorado County Placerville Jail, inmates can have one visit each week. Inmates are allowed a 60-minute visit each visit. At the El Dorado County Placerville Jail inmates can have one visit per week. Inmates are allowed a 60-minute visit each visit.